As you walk into the K2, head up the stairs towards the main gym. After you’re through the double doors into the gym head towards the changing rooms and there is a glass wall to your left. Behind that there is a suite of 5 treatment rooms. David Such is in the fourth room along and the associate osteopaths are in the first room. If there is no receptionist and no doors are open, please take a seat and your practitioner will be with you as soon as they’ve finished their previous appointment. 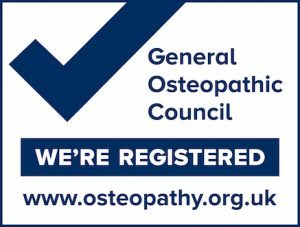 Osteopathy in Crawley. 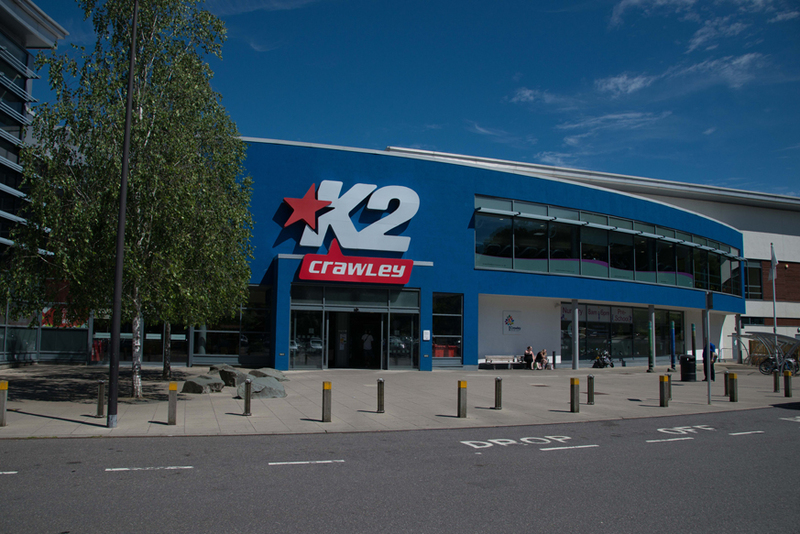 David Such Osteopathy clinic in the K2 Crawley is easy to find and very accessible by major bus routes and has plenty of free parking if you drive. Many of our patients are members at the K2 or visit for other reasons, for example children’s karate or gymnastic classes. There is step-free access to the treatment rooms and catering on site too. 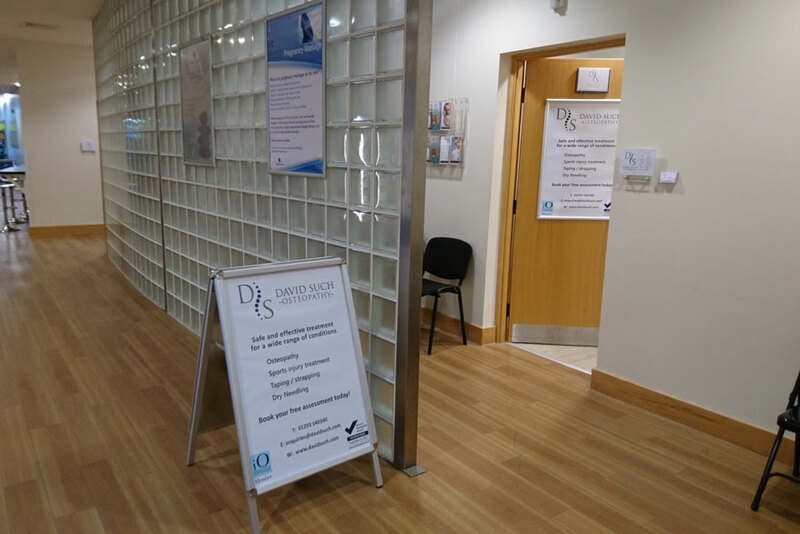 David and his associates offer safe and effective osteopathy and sports injury treatment for a wide range of conditions including repetitive strain injuries, neck and shoulder pain, back pain and sciatica, postural problems and headaches.